Tacoma's first Kidical Mass summer is winding down! Our fifth and final ride of the season will be Sunday, September 22 as part of the Downtown to Defiance: Sunday Parkways event. 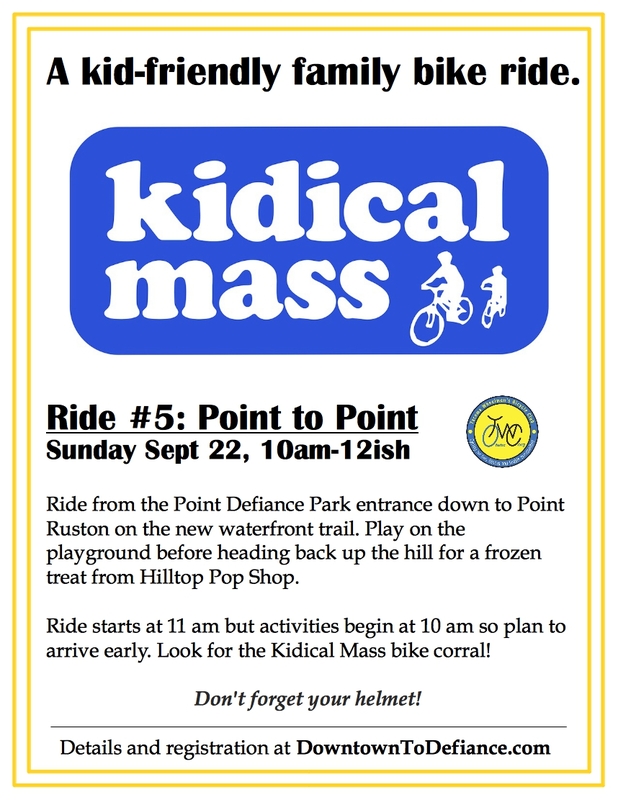 Kidical Mass will lead a family-friendly bike ride from the entrance of Point Defiance Park down to Point Ruston on the newly finished section of the waterfront trail. Kids can play on the playground at the halfway point before heading back up the hill for a frozen treat from Hilltop Pop Shop. The ride starts at 11am, but activities at Point Defiance begin at 10am so plan to arrive early. Look for the Kidical Mass bike corral! Everyone is welcome to join us. Visit DowntownToDefiance.com to register for the ride and check-out a full listing of activities. The Kidical Mass Point to Point ride is just a small part of the Downtown to Defiance event. 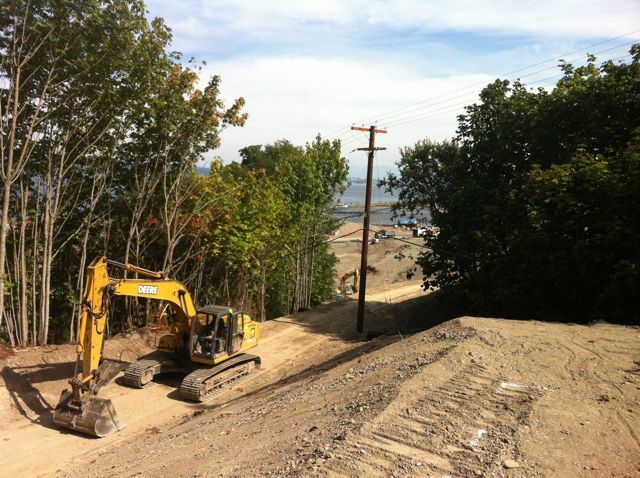 MetroParks will close some lanes of Dock Street and Schuster Parkway to car traffic for a limited time in the morning to allow cyclists, runners, skateboarders, etc., to enjoy a waterfront route from the Tacoma Dome to Point Defiance Park. The event will showcase the completion of the interim waterfront trail through the Point Ruston development. The whole route is about 7 miles and there will be stops along the way with lots of activities provided by MetroParks. Be sure to visit DowntownToDefiance.com for more details and to register for longer rides with the Tacoma Wheelmen and the VeloFemmes. If you ride all or part of the Downtown to Defiance route earlier in the morning, you should have plenty of time to join Kidical Mass at 11am. Everyone is welcome. 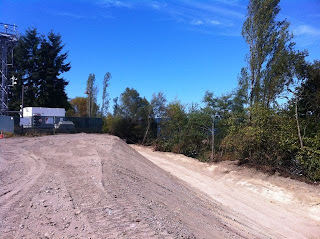 The interim trail is the missing link between the well developed Ruston Way trail and the many trails and pathways in Point Defiance Park. As of August 23, the trail is roughly graded and will be paved soon. The trail climbs up a 5% grade from the Copperline Apartments at the north end of Ruston Way. This may be a challenging climb for younger riders, but it also makes a nice walk! Feel free to leave questions and comments below. 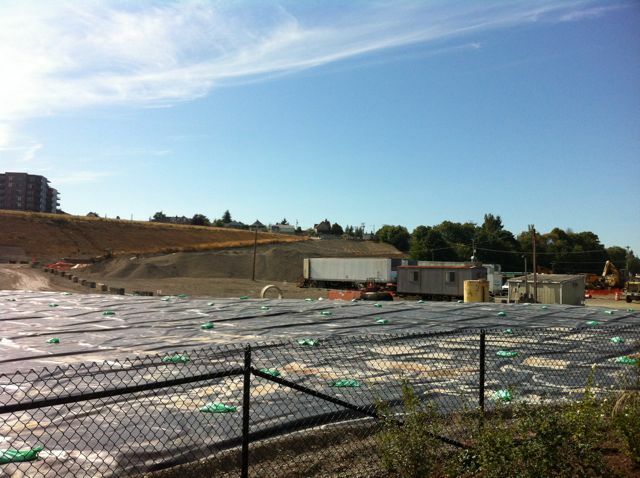 We are really excited to be a part of this first-of-its-kind event in Tacoma!